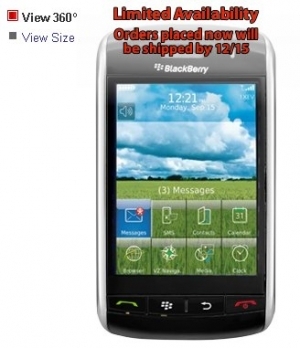 BlackBerry Storm security glitch caused delay? | BlackBerry Blast! BlackBerry Blast! > News > BlackBerry Storm security glitch caused delay? BlackBerry Storm security glitch caused delay? Verizon had their big BlackBerry Storm launch only to tell customers that they were out of product. They then delayed shipment of the Storm until December 15 but with no explanation. Now engadget reports that there was a security glitch that required ever handset to be downgraded from OS version 4.7.0.82 to 4.7.0.65. I guess they couldn't get it down quick enough. Verizon now says that orders placed before noon on November 21 should ship on the 25th but orders received after noon on the 21st will ship on December 5. If you ordered your Storm after the 22nd your device will not ship until December 15.